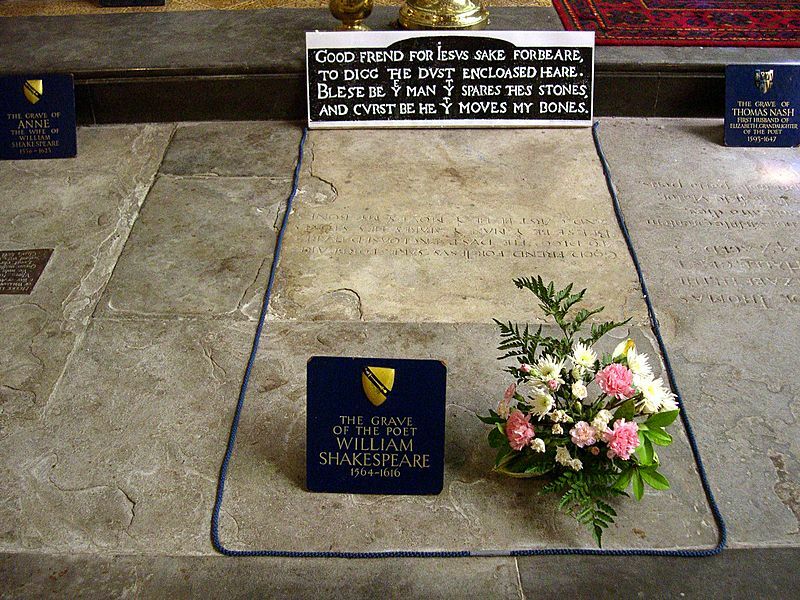 Description: William Shakespeare's grave, Holy Trinity Church, Stratford-on-Avon, England. On his grave is written: Good frend for Jesus sake forbeare, To digg the dust encloased heare. Bleste be þe man þt spares thes stones, And curst be he þt moves my bones. 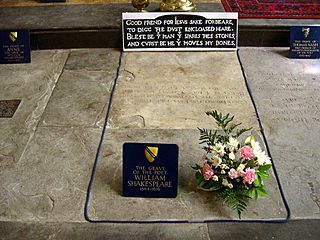 In modern English: Good friend for Jesus sake forbear, To dig the dust enclosed here. Blessed be the man that spares these stones, And cursed be he that moves my bones.